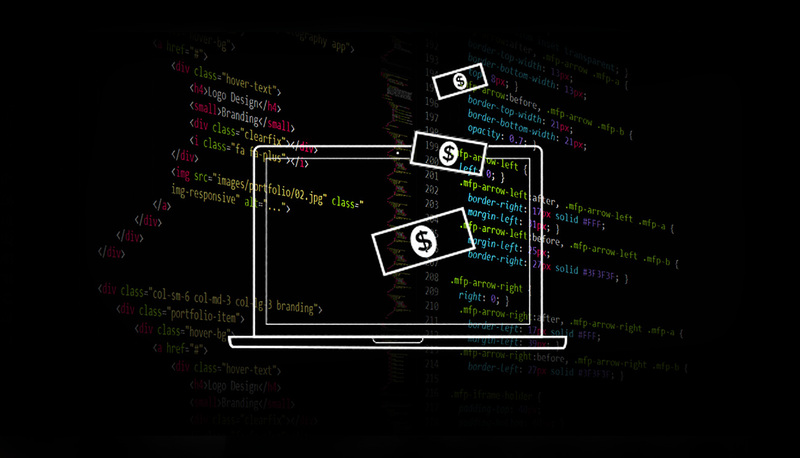 You’re keen to change careers and you’ve been checking out online coding bootcamps. It’s time to upskill to become a programmer, possibly a software, mobile or web developer. From an affordability perspective, an online coding bootcamp makes sense bearing in mind that a face-to-face bootcamp in the US costs in total in the region of $9,000 to $21,000, with an average of $11,451. A 4-year computer science degree will have you shelling out even more: the average cost is $157,760, whereas you can enroll at an online coding bootcamp for as little as $3000, but that’s still a lot of cash. How best can you finance your bootcamp? Here are some ideas. If you’re really keen to upskill in coding, think about investing in your future. A few simple changes to your life can reap big rewards. A Business Insider case study works out that if you forego your daily purchased coffee, you save in the region of $1000 per year: $3.50 per day translates into $24,50 per week and a whopping $1277,50 per year! That means you’re a third of the way towards getting the career you deserve in coding. Have a weekly money date where you sit down and update your budget, including reviewing your progress in reaching your financial goals. Spend time with your money, if you want your spending habits to improve. Do a weekly meal plan. It’s interesting to note that eating out is the number one expense for most households. Wait 48 hours before buying something big. Because it’s so easy to purchase stuff online these days, we can easily overspend. Set yourself a limit. Anytime you want to purchase something over that limit, wait 48 hours before giving yourself the go-ahead. This will greatly curtail impulse buys. Many coding bootcamps offer scholarships, particularly if you belong to an under-represented group, such as women or persons of colour, in the tech industry. Remember, there’s no harm in asking – the worst thing is that you’ll be met with a ‘no’. According to a response on Quora, scholarships are often based on a student’s background, merit or need. Here’s a list, from Course Report, of scholarships on offer for bootcamps. Back in the day, you would need to know people in high places if you wanted to raise money. Now you can do it online via crowdfunding by utilising the incredible social community for your benefit. Digital Trends lists some of the best crowdfunding sites online including Indiegogo and GoFundMe. Remember with crowdfunding, states Entrepreneur, you need to self-promote intensively, read the fine print for details and have a plan of action for rewarding your investors. For example, you can offer to spruce up the code on the back-end of their website after you finish your online coding bootcamp! Think about approaching your bank for a personal loan. It’s likely that they’ll want some commitment from you, so you should factor in a contribution of your own. It’s not great to be indebted, but your earning potential post-bootcamp is likely to be much improved, making the whole ordeal worth it. After surveying reports from 73 qualifying coding schools, Course Report found that the average salary increase after a bootcamp was 50,5%, which equated to $23,724 extra per annum. Consider the personal loan an investment in your future. Many bootcamps offer a variety of payment plans, from paying the full amount at a slightly discounted rate upfront to paying off the course over the duration of study. Make sure you speak with someone about all the options available. HyperionDev also offers several payment plans, including a monthly option and a significant discount if you choose to pay upfront. If you’re planning on continuing your full-time employment, consider speaking to your employer- they may want to invest in the skillsets of their employees! Remember to show how your upskilling will be of direct benefit to the company. Factors you could mention include passing on new skills to the team, accepting greater responsibility and adding to your skill base to take the company in a new direction. They say if you want something badly enough, you’ll find a way of getting it. The same holds true for completing a programming bootcamp to allow you to change careers. Where there’s a will, there’s a way. You just need find it.